Mr. Suresh Raju is a financial services professional, investor, entrepreneur and mentor, who has 20 years of experience across a spectrum of industries. 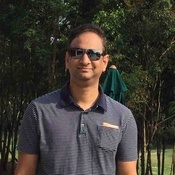 Suresh is the Founder & Director of Golden Hills Capital India Private Limited, a research and analytics services firm based in Hyderabad, and serving 15 hedge funds based in Boston, New York and HongKong. The range of services include risk management, portfolio analytics, financial modelling, research of investment ideas, independent valuation / returns analysis for each investment opportunity considered, opportunity analysis of different asset classes across markets and data analytics solutions. This experience of working closely with a range of small to large funds, is enabling Suresh to understand the dynamics of markets across asset classes, importance of risk management and liquidity to portfolio management. Suresh is currently in the process of establishing a SEBI registered Category III Alternative Investment Fund, with focus on long-short equity and futures&options strategies for Indian equity capital markets. Previously, Suresh worked as General Partner at TVS Capital Funds, which manages a $150M mid-market Private Equity fund, TVS Shriram Growth Fund. Suresh as the first employee of TVS Capital Funds played a critical role in establishing the asset management business, raised capital for the fund, reviewed over 600 companies and helped invest in 7 companies across Healthcare, Retail, Restaurants, Financial Services, Business Services and Logistics industries. This experience of working closely with the entrepreneurial ecosystem in India had enabled him to learn the nuances of investing in private, unlisted companies, the process to create value and finally the importance of liquidity. Prior to which, Suresh had worked at Deutsche Bank’s Technology Investment Banking group in Boston covering technology industry across east coast of USA. Participated in over 25 transactions spanning IPOs, private placements, debt financings, Mergers &Acquisitions advisory, Leverage Buyout transactions over a 7 year period. This experience enabled Suresh to understand the importance of capital markets in the life of a business, and its critical role in creating a valuable business. Also, Suresh has 4 years of operational experience in a technology business (ABAQUS), where he learned about the key catalysts for business growth and profitability. Mr. Suresh holds an MBA in Finance degree from University of Chicago’s Booth School of Business, USA. He also has a M.S. degree in Engineering from The Ohio State University, Columbus, USA, and Bachelors in Technology degree from Indian Institute of Technology (IIT), Madras.